Nose: Not too Aggressive Grain Alcohol, Refill-Oak, Grass, Dirty Earth, Toast, Cereals and a little Wood Spice. It's practically impossible to detect the Malt content so I must assume that either the Grain Alcohol percentage is higher than the average 70% we find in Scottish bottom shelf Blends and/or the Malt matured in third or fourth Refill casks. On the Nose, the Breeders Choice is quite inoffensive but that's about all there is to say. Taste: Thin and Watery delivery. The Grain Alcohol is very present now and is accompanied by Sugared Cereals, Nut Shells, Caramel, Bitter Refill Oak and a bit of Pepper. Again, it's difficult to detect any significant Malt content. Finish: Short and Watery with Sugared Cereals, slightly Bitter Refill Oak, light Licorice, Alcohol, Pepper and a little Dusty Earth. I added a little Water and on the Nose the Grain Alcohol retreats and very light notes of Honey and Fruit become noticeable. Palate and Finish become almost nonexistent though. Still, the Nose of the Breeders Choice slightly improves with Water and that's a surprise. 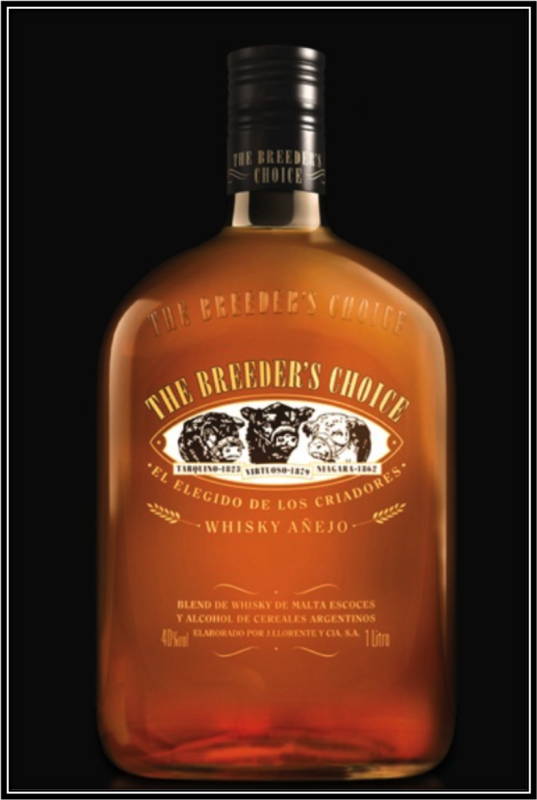 General Remarks: This whisky was launched in 1967 to honour the tradition of Argentine cattle-breeding and more specifically the import from the United Kingdom of three bulls from well-known races. The first bull was Tarquino of the Shorthorn race, imported in 1823. It was followed in 1862 by Niagara of the Hereford race and Virtuoso of the Aberdeen-Angus race in 1879. These three bulls are represented on the label of The Breeders Choice. 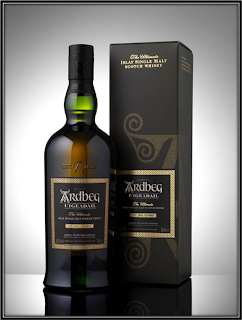 The Malt content of this Blend matures for around 4 years in Scotland in American White Oak casks. These casks are then exported to J. Llorente y Cia in the city of Escobar, not too far from the capital Buenos Aires. 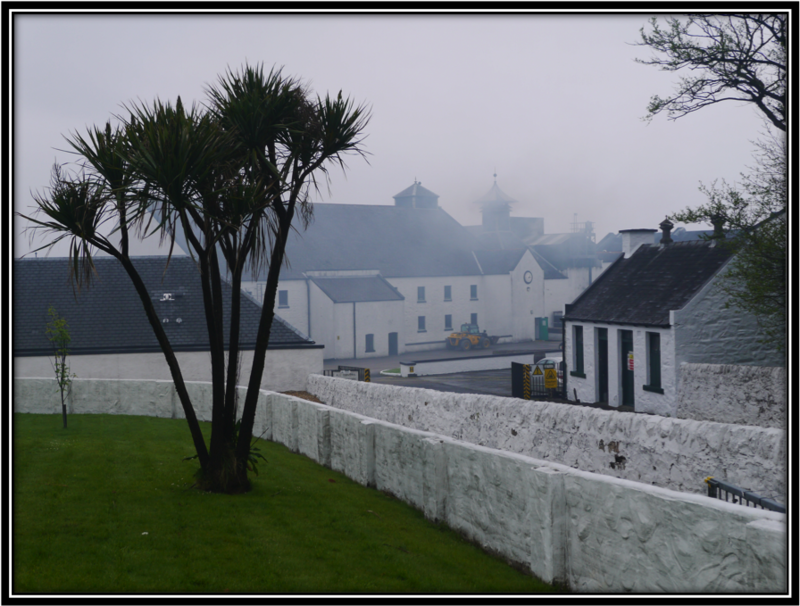 Dufftown, Inchgower and Blair Athol are said to be among the distilleries that supply Malt whisky for The Breeders Choice. In Escobar, the Malt whisky is married with locally produced Grain Alcohol and brought to an ABV of 40% by adding pure Water. 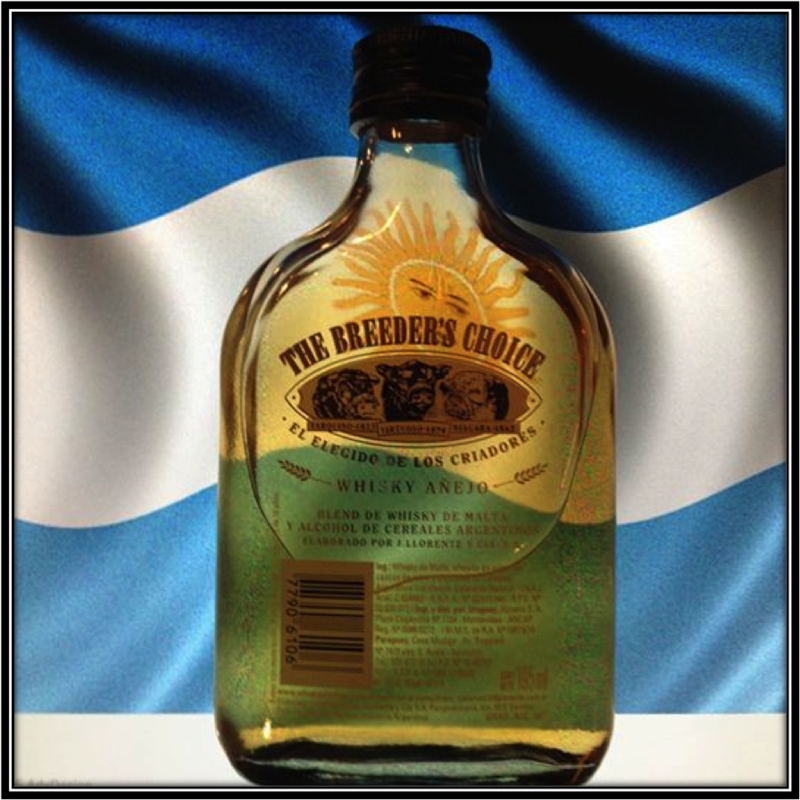 Today, the Breeders Choice is market leader in Argentina. It's extremely cheap at an average 10 US Dollars per bottle. 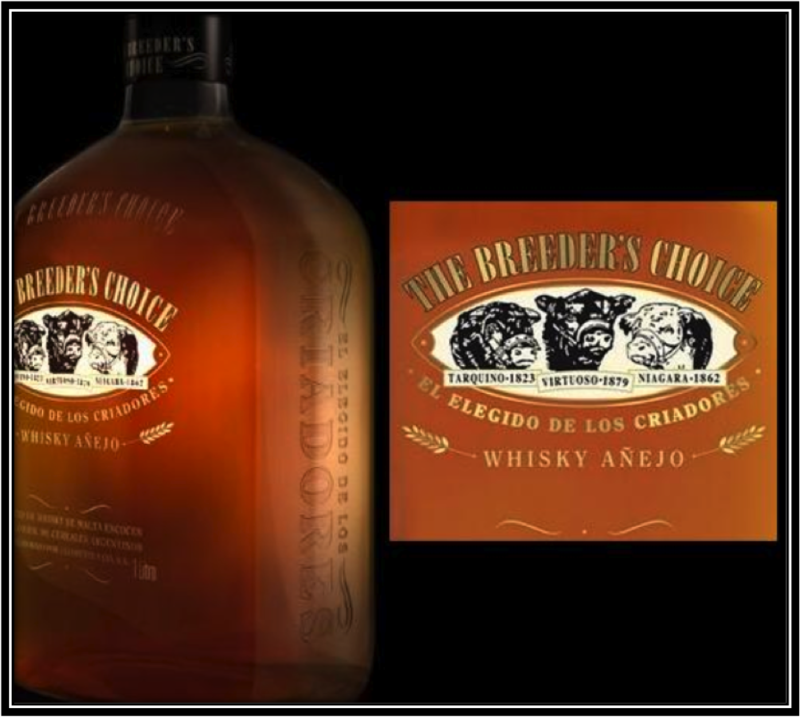 Conclusion: The Breeders Choice is a very cheap Blended Whisky. As such, it appeals to many people who can't afford expensive Scotch whisky, certainly not on a regular basis. That explains the success of this Blend in the local market. 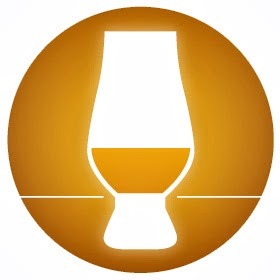 It is difficult for me however to judge the Breeders Choice as a Whisky properly speaking as it simply lacks sufficient Aromas and Flavours as a result of the low percentage - and/or indifferent quality of the Malt content. It's the same issue I encounter when nosing and tasting cheap Blended Scotch Whiskies. Drinking the Breeders Choice neat does not offer any real pleasure. With water it improves a bit, especially on the Nose. But in my opinion it is better to use it for mixing purposes only. It's less Aggressive on Nose and Palate than some of its Brazilian peers. Still, if you're short on cash, just save a little longer and buy yourselves a standard American Bourbon/Whiskey like Jim Beam or Jack Daniels instead. Thanks a lot for your kind comment Leonel! I wish you and your family a Merry Christmas and a healthy and happy 2016! Hello. In Argentina 1 Dollar = 17 Pesos. Any Scotch bottle are very expensive, so... the local production is the best choice. PD: I never forget the JW Blue Label!!! Hi there, thanks for commenting! I know what you mean. In Brazil the Whisky prices are also 4 times more expensive than in Europe and you are not allowed as a private person to import alcohol. Would be nice if countries like Argentina and Brazil would produce Malt whiskies! Who knows in the future! My favourite JW is the old Green label. Even better than the Blue. And less expensive!!!! I have a bottle of whisky Breeders Choice that is more than 30 years old. I open it in 2017 to test it and I will love to know where I find the day of production in the bottle? How can I show a picture of it. I will then post it here!